Male born in 2008 adopted to the USA using Adoption Associates (MI, USA) through Enat Alem, Child was abandoned at Black Lion Hospital. Additional information about child’s ethnicity Based on appearance, some Ethiopian friends here thought he might be from the Harrar region. Additional information about the child Small, light birthmark on thigh. 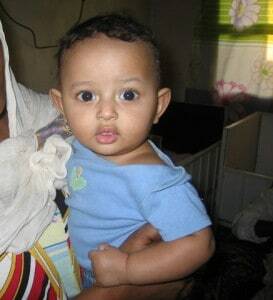 He was approximately 4 months old when he was left at the Black Lion Hosptial in Addis. Medical issues. Additional information that could be useful in making a match Officer from Lideta sub city police department brought Asere in. Lideta Kabele 07/14. Ayele Abebe was the inspector who filled out the paperwork. Asere was found at the Black Lion Hospital. He was healthy and fully developed. Estimated birth date, May 9, 2008 (U.S. calendar).